Dictionary.com defines entrepreneur as ‘a person who organizes, manages any enterprise, especially a business, usually with considerable initiative and risk’. Entrepreneurs can rightly be called the force that drives economic and social progress. They are the innovators and the source of employment, productivity and progression. We owe these famous entrepreneurs for they are the ones who keep the world in the continuous evolution that it is in. It is solely because of them that we can enjoy the products that we do and use the excellent and useful services brought to us because these famous entrepreneurs were willing to work towards achieving the ideas that led to these products and services. Whether they had their name printed in famous magazines and newspapers or a movie made on their lives, all these famed entrepreneurs might seem like they were born with a silver spoon, many of them actually had to go through a lot of hardships to gain success. These famous entrepreneurs earned each and every cent on their own. It took wise investments for some like Warren Buffett and the creation of a social networking website in the case of Mark Zuckerberg. Each of them had a dream and the belief in their dream. They tackled all the problems and strode towards achievement of their goals. They worked out their difficulties and devoted their lives to work. There are hundreds and thousands of famous entrepreneurs who earned their millions and billions of dollars with their ideas and hard work. They have the required determination and willpower to turn mere dreams to reality. 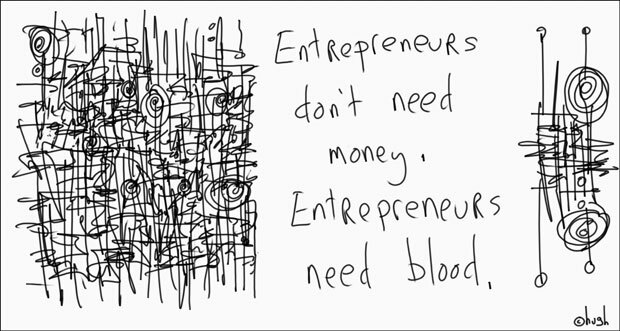 According to Forbes website the real essence of entrepreneurship is ‘define, invest, build and repeat’. The real famous entrepreneurs are passionate; they turned their passion into their business. All the famous entrepreneurs acted as the pillars of society. Because of their advances we continue to live a better life today. They were born to bring their vision to life. Henry Ford’s mass production of vehicles redefined the 20th century. Steve Jobs, Bill Gates and Larry Page revolutionized the cyber world and thus the way we live our lives today. They enlightened the society and provided us with such brilliant technologies that have benefited us on a level that maybe we don’t even realize. They have opened to us the gateway of knowledge and exposed us to information that was previously very difficult to attain. Entrepreneurship is in fact highly critical for us as a society as it acts as a catalyst for the improvement of mankind. The famous business magnates who are still with us and those who have departed from this world leaving behind the legacy of their business are the true communicators and venture capitalists. They are the inspiration for our future generations and even for young people who aspire to be like them. They create jobs and wealth in a society. They are the ones who not only have the right ideas but the courage to instigate things and create the opportunities for themselves and in turn the society at large. As you will read about these famous entrepreneurs you will realize that they play a highly crucial role in the betterment of mankind.